About three years after Pedro’s stem cell transplant I finally had the courage to search online and for the survival rates for non-Hodgkin’s Lymphoma with central nervous system (CNS) involvement. What I found shocked me. The average survival rate in 2006? A mere 18 months. The statistics left me with more questions than answers. They still do. Why? Why had God miraculously healed Pedro? Why had we suffered financial setbacks and why had Pedro suffered such difficulties reentering the workforce? This I do know. 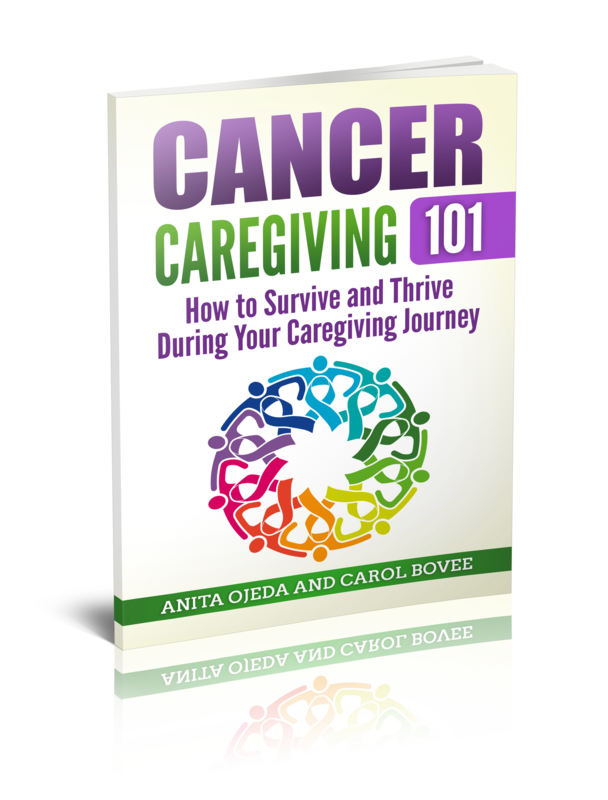 Without a doubt, God has guided each step of our journey—Pedro’s journey as a cancer survivor and now thriver; my journey as a stressed-out caregiver; our daughters’ journeys as children traumatized by a catastrophic illness in the family. Our journeys haven’t ended, and we have no time frame or assurance that they will end in any certain way. But I know that through the good and bad, God stands close beside us—offering us peace, strength, hope, mercy and love. He stands close to you, too. No matter where you travel or what disaster or accomplishment shoots you out into a path you never expected, know that God desires above all else for you to turn your journey over to him. And that my fellow caregiver, is the greatest comfort of all. He promises to leave us with his peace. It’s not a peace that the world can understand. It’s a peace that passes all understanding. May you find Him and rest in His promise.